Dracula Tickets – available online now! 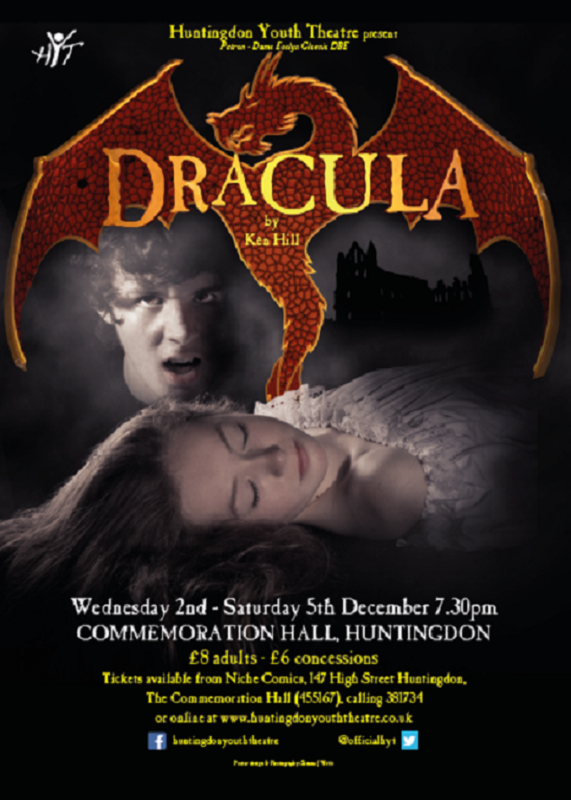 Tickets are available now for our production of Dracula this December. All you need to do is click on the tab on the menu bar and follow the instructions. Tickets will soon be available via the Commemoration Hall or Niche Comics as well, we’ll inform people when they receive their stock. Summer has been and gone, we’ve been working hard on putting things together for Dracula and the process of gearing up for Connections 500 next year and now rehearsals are in full swing with lots of excitement, special effects and smoke! The only thing not raring to go is an audience, and that’s where you come in. For the first time we at HYT are delighted to announce we’ll be offering people the chance to purchase their tickets online. All you need to do is click on link on the menu bar and away you go!